Do not forget to come 30 minutes before the start of your trail ! Subject to change with weather or availability. At your convenience and according to your wishes, you can either take half a day, the whole day, or 2 days to make the tour. We accept, cards, cash and "chèques vacances". We do not accept cheque. Cancellation can be made by phone. A cloudy weather is not a cancellation clause neither a refund one. 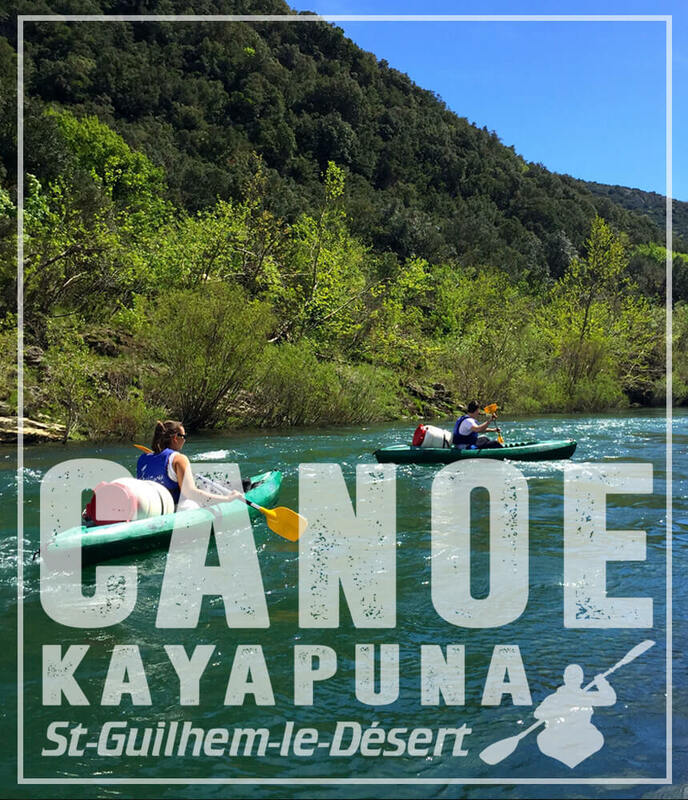 CANOE KAYAPUNA can cancel a start for safety reasons. This cancellation will lead to a immediate refund or a modification of your trail date. We recommend that you do not take anything that could be damaged by the water with you (such as cameras, camcorders…). We do not take responsibility for sealing of the containers. 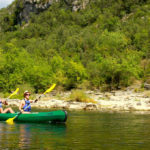 Our canoe rental shop is located at the entrance of Saint Guilhem le Désert, on your left. You can park your car for free in our private parking lot just across the street on your right side (do not forget to tell to the attendant that you are a client of “Canoe Kayapuna”). 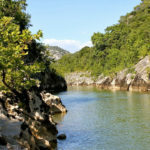 Our equipment and boats are of the latest generation and are replaced and maintained on a regular basis. Our boats are unsinkable and self-bailing. In order to guarantee perfect hygiene, the life jackets as well as the waterproof containers are cleaned and disinfected after each use. 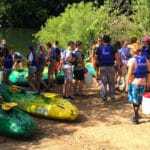 You will paddle through protected and classified areas, please respect the fauna and flora along the river. Fires are strictly prohibited. At the arrival of the trail, you will find garbage bins, so do not forget to bring back your garbage with you.